I love rhubarb and I love mojito’s so what better cocktail than this winning combination of two favorite tastes! A delicious simple syrup made with rhubarb not only infuses the cocktail with the taste of rhubarb but it creates a beautiful pink hue to the beverage! You’ll love kicking off your summer with this beverage in hand! 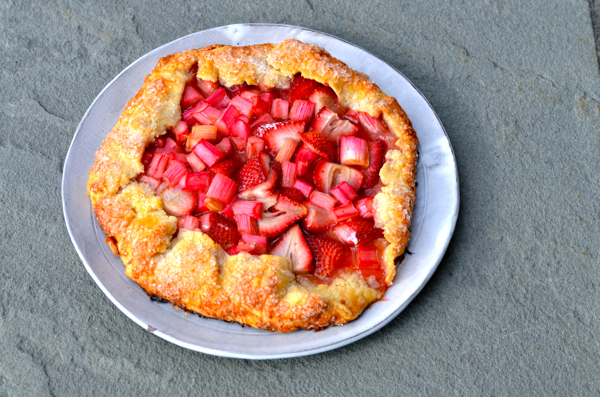 From by the bay wishing you, delicious rhubarb food memories! In a medium saucepan combine sugar, water, rhubarb and rind. Bring to a boil, stirring, until sugar has dissolved and rhubarb has softened. Using a fine mesh sieve to strain. Allow to cool. Store in a glass jar in the refrigerator until ready to use. Will keep for one week. Place mint leaves and 1 lime wedge into a sturdy glass. Use a muddler to crush the mint and lime to release the mint oils and lime juice. Add rhubarb simple syrup and lime juice, and muddle. Do not strain the mixture. Fill the glass almost to the top with ice. Pour the rum over the ice, and fill the glass with carbonated water. Stir. Garnish with the remaining mint. Enjoy! 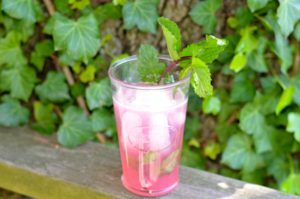 This entry was posted in beverages, drinks and tagged lime, mint, rhubarb mojito, rhubarb recipes, rum drinks, spring recipes on May 11, 2016 by entertainingbythebay. A sure way to welcome the bounty of spring is using the early rhubarb and strawberries in a delicious compote flavored with rich vanilla. This compote is the perfect topping for breakfast on top of pancakes, french toast or Greek yogurt or use the compote to complete desserts such as cake , ice cream or pudding. I find the best match to this compote is this old fashion buttermilk pudding. The buttermilk pudding is slightly tart, creamy, smooth and rich. 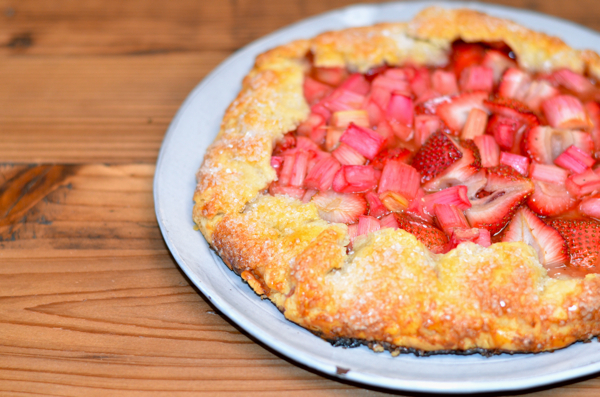 It’s the perfect balance to the tart and sweet compote. 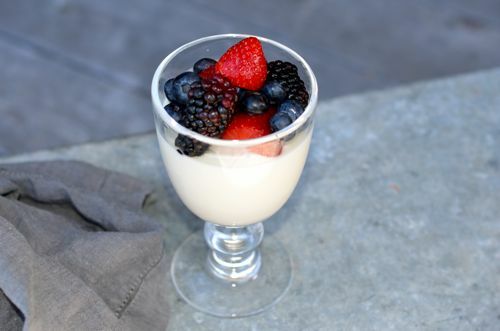 You can also enjoy this pudding on its own or just topped with fresh berries. From by the bay, wishing you creamy buttermilk food memories! 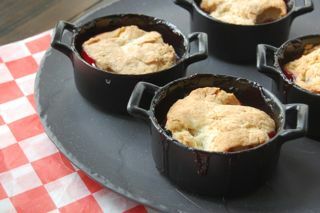 Serve the buttermilk pudding and top with the Strawberry Rhubarb Compote. Recipes follow. Combine the gelatin with 1/4 cup water in a small bowl or measuring cup and let stand for 3 minutes. In a small saucepan, over medium heat, combine 1/2 cup of the cream and the sugar. Cook, stirring, until the sugar has dissolved. Remove from heat and whisk in the gelatin. In a large bowl, combine the buttermilk, vanilla, and the remaining cream. Stir in the warm cream mixture. Lightly oil six 6-ounce ramekins. Divide the mixture evenly among the ramekins. Refrigerate, covered, 3 hours or overnight. To serve, run a knife around the edge of each ramekin and invert onto plates. In a large, nonreactive saucepan, heat the water, juice, ginger, sugar, and agave. When all the sugar is dissolved and the syrup is simmering, add the rhubarb and let the rhubarb cook in the simmering syrup until it’s just softened, which may take as little as 5 minutes, depending on the rhubarb. Add the strawberries and simmer another five minutes. Remove from heat and add the vanilla and the framboise, if using. Cool and refrigerate until ready to use. Serve warm or room temperature. 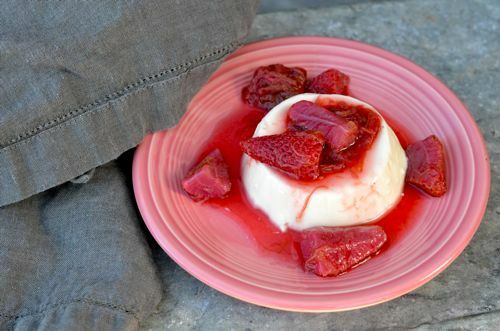 This entry was posted in desserts and tagged buttermilk pudding, buttermilk recipes, gelatin recipes, pudding recipes, rhubarb recipes, spring recipes, strawberry recipes, strawberry rhubarb on April 29, 2015 by entertainingbythebay.